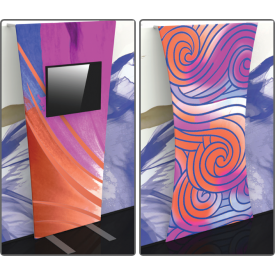 Formulate® Master Backwall Accents enhance the functionality of any Formulate Master 10ft or 20ft backwall and add more real estate for messaging and product display. With monitor supports, literature pockets, shelves, tables, counters and more, it is easy to find the accent that best suits any need. 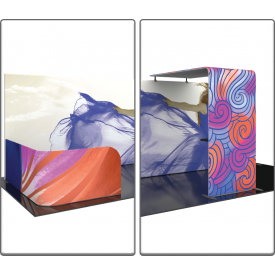 Choose from Backwall Connectors, graphic accents and accessories, and canopies to enhance branding and messaging by adding a dynamic look to your display. 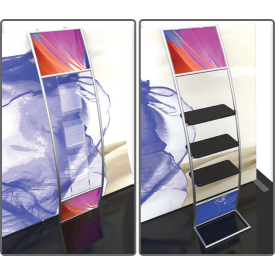 Additional graphic display area can be used to compliment backwall graphics and messaging, creating a custom, unique design sure to stand out from the competition. Find the perfect messaging addition to your master backwall today!